Celebrating all of Kansas City's early architectural heritage. The best place to receive notifications about upcoming meetings is from the Club's Yahoo and Facebook pages; go to the Join tab on our website for information about adding your contact information to the Yahoo page. 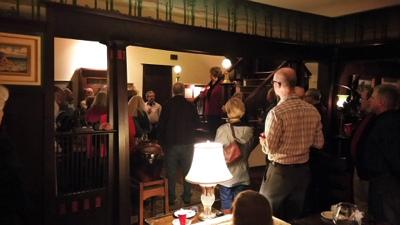 The Kansas City Bungalow Club relies entirely on the generosity of its volunteers to host Club events in their homes and businesses. We would love to see your place and what you've done to it ... or are about to. Hosting is easy - just volunteer to do it, and the Club does the rest. If you are interested, please contact Jan Bentley at 816-363-0349.